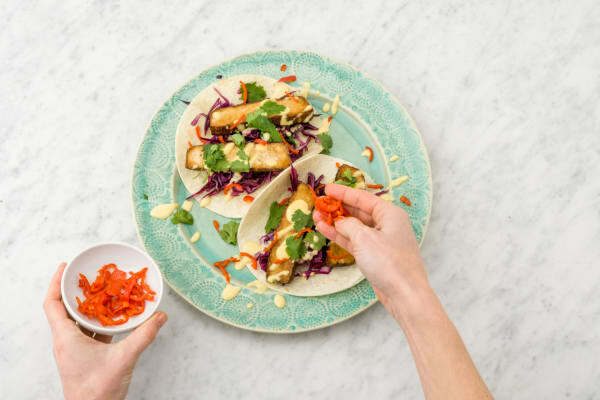 Few things look as colourful as these tacos – with crispy tofu inside no less! The real star of this dish is the mayonnaise from Roza’s. There’s a hint of sweet mango amidst the expected tang of mayonnaise we all know and love. 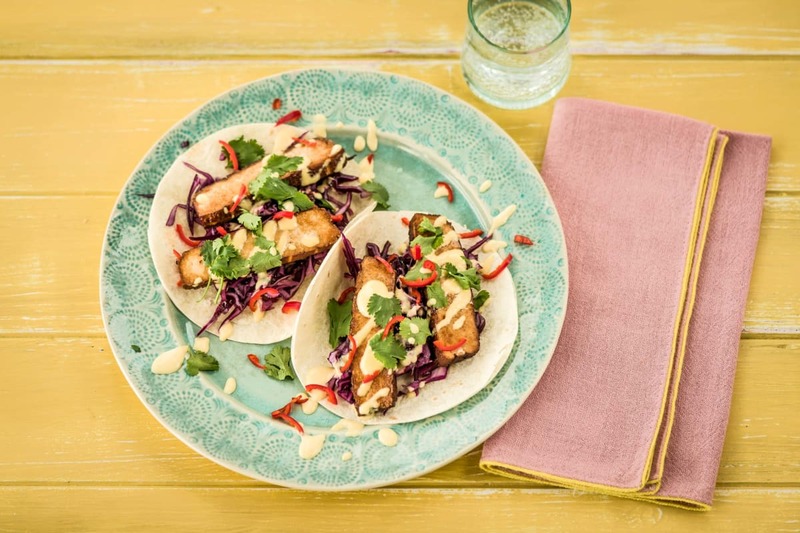 Douse these tacos in a good squeeze of lime and you’ll be in for a sweet ride. 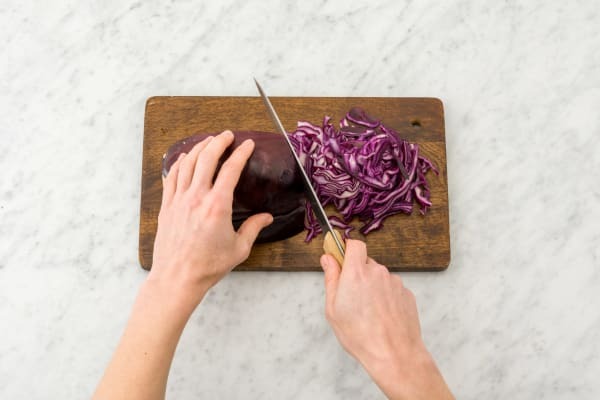 To prepare the ingredients, finely slice the red cabbage and measure out the required amount. Juice the lime, cut the spicy tofu into thick slices, slice the avocado, pick the coriander leaves, and finely slice the long red chilli. Combine the red cabbage, half of the olive oil and the lime juice in a large bowl. Season with salt and pepper and set aside. Lightly grease a medium frying pan with the remaining olive oil and heat over a medium-high heat. 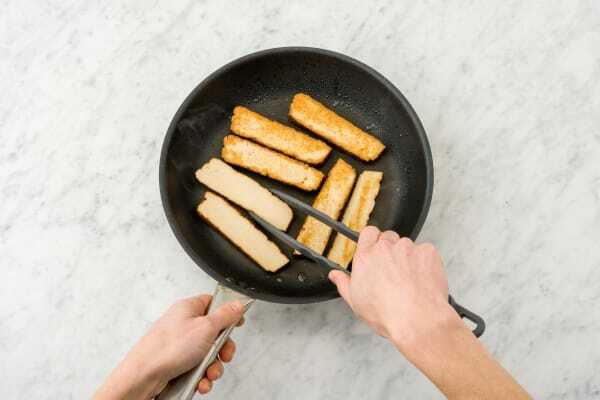 Add the spicy tofu and cook, stirring, for 1-2 minutes, or until golden. Meanwhile, heat the mini tortillas in a microwave or sandwich press (if using the microwave, place tortillas on a plate first). To serve, divide the tortillas between plates. Top with the avocado, cabbage mixture, tofu, coriander, mango mayonnaise and fresh long red chilli.